a full-time lecturer and a professor in World literature and Cultural history (1894-1903). In the course of nearly four decades, he lectured in Cultural history, History of world literature, History of the literatures of the East, Theory of folk poetry, Beginnings and development of literary history, Comparative literary history of the Italian Renaissance, Comparative history of Western European literature (from the Middle Ages to the 18th c.). In 1893 Ivan Shishmanov launched a new journal under the title of Sbornik za narodni umotvoreniya, nauka i knizhnina, and was its editor until 1902. In the meantime he was also the editor of the Balgarski pregled magazine (1893-1900). In 1903 Shishmanov was appointed Minister of education and as such he aimed at utilising the experience of the well developed European countries in his cultural and educational programme. Although he did not succeed in realising his plans in their entirety, he applied contemporary reforms to the educational process and his name got attached to the origin and development of a number of cultural institutions: the National theatre, the School of Music, the Academy of Fine Art, the Ethnographic museum, the Institute for the Blind, the Deaf-and-Dumb School, the first Kindergarten in Bulgaria, the Union of teachers and doctors, the Bulgarian branch of the PEN club, a number of culture clubs, libraries, and galleries. Professor Shishmanov undertook as his mission financing eminent Bulgarian scholars, writers, artists, musicians, and teachers to specialise in their field in Europe. In 1907, the booing of King Ferdinand at the opening of the National Theatre made the authorities close down the University of Sofia. As an act of protest, Shishmanov resigned from the Cabinet. In 1909 he resumed his lecturing at the university and was an active participant in cultural life with his research and journalistic publications. At the time of the two Balkan Wars and World War 1, professor Shishmanov vouched for peaceful solutions to international problems and supported the idea for a Union of the Balkan nations. In 1918-1919 he was an ambassador in the Ukraine. After WW1, he became close to Romain Rolland and Maxim Gorki and supported the idea for a Union of the European states. While in Freiburg, he had a lecture course on the culture of the Slavic people (Slavyanskiyat svyat [The Slavic world] 1923-1924). In 1926 he was the president of the Bulgarian PEN club. In the summer of 1928, he travelled to Norway to take part in the PEN club congress there. He died in Oslo on 23rd June. Professor Shishmanov was a member of the Bulgarian Academy of Science (1902), and a regular or an honorary member of many European academic institutions and universities. In his research, he discusses Bulgarian literature, ethnology, folklore and ethnography, and the literature of the Bulgarian Revival period in the context of European cultural history. He kept an eye on the contemporary literary processes in Bulgaria, and was interested in scholarly issues in the fields of psychology, philology, and education. 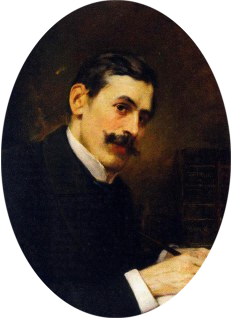 Ivan Shishmanov’s major works include: Nachenki na ruskoto vliyanie v balgarskata knizhnina [Beginnings of Russian influence on Bulgarian literature] (1899), Taras Shevchenko – negovoto tvorchestvo i negovoto vliyanie varhu balgarskite pisateli predi Osvobozhednieto [Taras Shevchenko: his works and influence on the Bulgarian writers up to 1878] (1914), Literatura i obrazovanie. Tendentsii v izkustvoto [Literature and education. Tendencies in art] (1926). As a result of his conversations with Ivan Vazov, he started writing Ivan Vazov. Spomeni i dokumenti [Ivan Vazov: Recollections and Documents], which he never finished and it was posthumously published in 1930. After his death, professor Shishmanov’s works have been published in the following books: Epigrami i portreti [Epigrams and portraits] (1931), Literaturna istoriya na Vazrazhdaneto v Italia [Literary history of the Italian Renaissance] (edited by Mihail Arnaudov, 1934), Ot Paisii do Rakovski [From Paisii to Rakovski] (1943), Epigrami [Epigrams] (1968), Izbrani sachineniya [Selected works] (1965-1971), Studii, retsenzii, spomeni, pisma [Studies, reviews, recollections, and letters] (1969), Dnevnik 1879-1927 [Diary 1879-1927] (2003). Professor Ivan Shishmanov’s work is a valuable contribution to the development of Bulgarian humanities and to situating Bulgarian scholarship in the field on a par with European achievements.